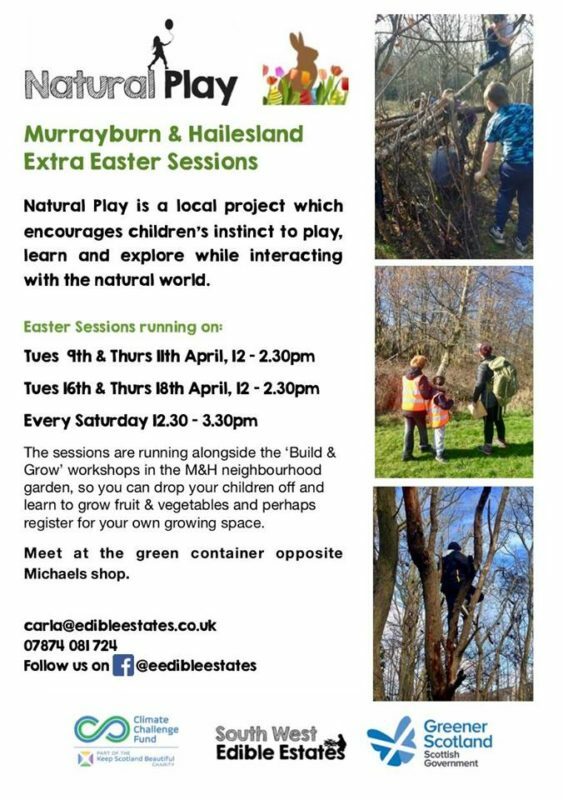 Edible Estates will be running a series of special Natural Play Sessions at the new Murrayburn and Hailesland Neighbourhood Garden over the Easter holidays. The sessions will run alongside the Build and Grow workshops in the garden so you can drop your children off and learn to grow fruit and vegetables and perhaps register for your own growing space. If you are interested the sessions will meet at the green container opposite Michaels shop. For more information contact Edible Estates on 07874081724 or carla@edibleestates.co.uk.